Nixon was a determined young lad who ran twice for presidency, lost both times, but despite the fact, continued on unwavered in his third campaign. After winning with a 1% margin in the popular vote, he made a strong impression on America through his controversial decisions. Nixon had a strong opposition to past presidencies and their legislation. As a result, he advocated for New Federalism, Revenue Sharing, a Family Assistance Plan, and Law and Order Politics. Nixon distributed a portion of federal power to state and local governments because they would better be able to support the needs of their people. It also prevented the federal government from holding too much power and lessened its responsibilities. With this change, the federal government would no longer tell the state and local governments how to spend money. Revenue spending would support local and state governments by allowing them to spend a federal money with only a limited number of restrictions. Nixon planned for the federal government to support families with no income by providing them with a basic payment and forcing them to participate in a job training program. Even though Nixon believed in this plan, when it reached the Senate, lawmakers shot down the bill. During his presidency, Nixon was motivated to help middle class Americans and to restore order to the chaos of urban riots and anti-war movements. In the process, the FBI illegally wiretapped left-winged individuals, the CIA compiled documents on thousands of people who opposed the government's policies, and the Internal Revenue Service audited the tax returns of antiwar and civil rights activists. In Nixon's attempt to increase his popularity for the 1972 presidential election, he tried to steer his administration on a more conservative course. Nixon hoped to appeal to southern conservative Democrats by opposing federal desegregation policies and the liberal Supreme Court. Additionally, he promised to name a Southerner to the Supreme Court. Nixon worked to reverse civil rights policies regarding immediate integration of public schools. His actions violated the ruling on Brown v. Board of Education. He further extended this initiative by going on national television to urge Congress to stop integration through busing. One of the largest issues facing Nixon was the struggling economy. As a result of Johnson's policy to fund the war and social programs through deficit spending, the economy entered into a period of stagflation . The fact that the United States imported oil from the OPEC did not help. When OPEC began selling oil to the United States for drastically higher prices, the problem of inflation increased. Nixon planned to combat stagflation by increasing taxes and cutting the budget, however, his plan could not be carried out because Congress refused to let this happen. In addition, when he urged interest rates to be raised, the economy entered into a mild recession. 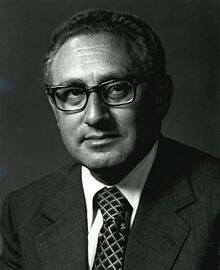 Nixon's secretary of State, Henry Kissinger, promoted the idea that a country with more power is a greater threat to America than a small communist country. 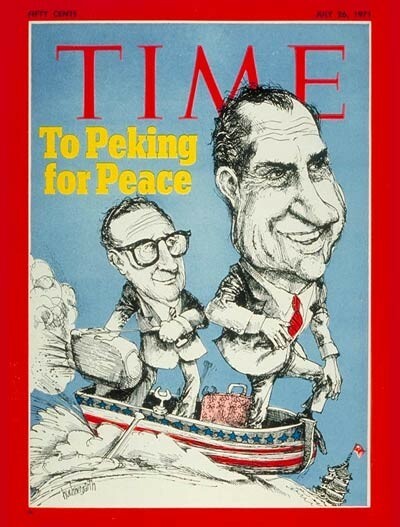 The idea of realpolitik allowed Nixon and Kissinger to adopt the policy of détente. 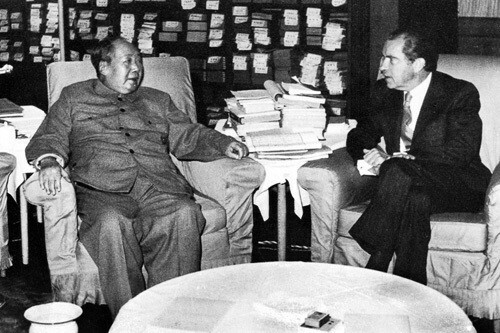 Nixon and Kissinger opened up diplomatic and economic relations with China when they visited the communist country in 1972. Our nations agreed to settle disputes peacefully and that neither of us would try to dominate the Pacific. Nixon took a trip to Moscow soon after to improve relations with Russia. The SALT 1 Treaty was signed after a series of meetings. 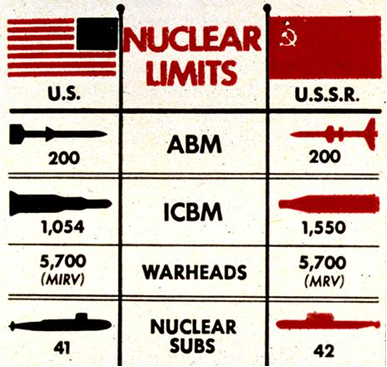 Both the Soviet Union and the United States agreed to limit intercontinental ballistic missiles and submarine launches for five years after the treaty was signed. The CREEP was so loyal to Nixon and his campaign that they wanted to do everything possible to get him reelected. This group even broke into the Watergate office complex (home to the Democratic National Committee) in DC. Five men were caught breaking into the campaign headquarters. They were attempting to photograph documents relating to the Democratic Party's strategy and place wiretaps in the telephones. Nixon originally asked the FBI and CIA to stop their investigations on the grounds of National Security. 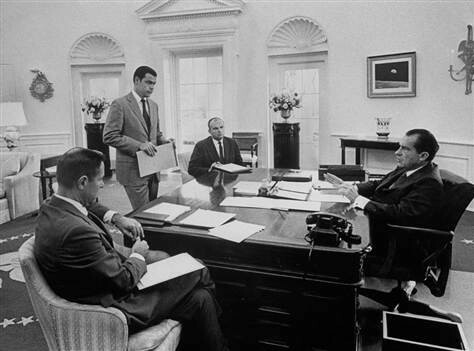 When Senate tried to investigate the Watergate burglary, Nixon announced the resignation of Haldeman, Ehrlichman, and the attorney general who came after Mitchell. 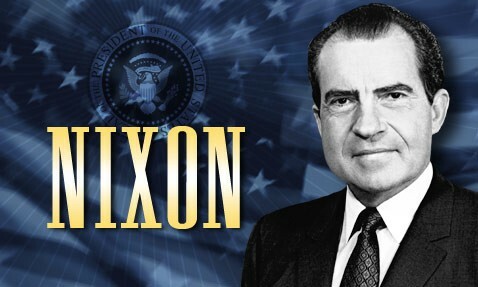 Nixon also denied the cover-up of the Watergate burglary n national television. Nixon dismissed James Dean, a White House counsel who went on to admit Nixon had a deeper role in the cover-up than the public may have known. On the Saturday Night Massacre, Nixon told Attorney General Richardson to fire Cox, who was taking him to court to get the "Nixon tapes". Richardson refused to follow Nixon's order and resigned from the position. The deputy attorney general also refused to do so and he was fired. The Solicitor General finally fired Cox, but his replacement was just as determined to get the tapes. The House Judiciary Committee was looking into impeaching the president as it seemed that he had been taking advantage of his power. They believed that he should be charged with obstruction of justice, abuse of power, and contempt of Congress. 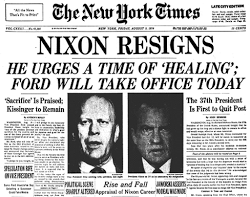 When evidence of the cover-up became overwhelming, Nixon resigned. As a result of the whole ordeal, 25 members of the Nixon Administration were convicted and served prison terms. Americans had gained a general confusion about the presidency and cynicism toward public officials.